Today is the day!!! The day that Sale-A-Bration begins with Stampin'Up!!! You can click HERE to see the Sale-A-Bration catalog. Take your stamping skills to the next level and SAVE up to 60% with the Sale-A-Bration Starter Kit Deal! SAVE $50 on the Stampin' Up! Starter Kit (NOW $125). Includes up to $340 in products and ships FREE. Choose and customize either the Standard Starter Kit or Digital Starter Kit. 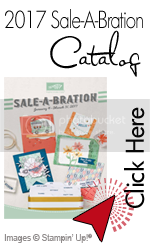 SALE-A-BRATION STARTER KIT BONUS! Receive your choice of either FREE Designer Series Paper (you pay for shipping) or a FREE My Digital Studio Download (no shipping charge) EVERY MONTH that you are active, from Feb. through Dec., 2012. Up to a $120 value! I am so super excited with all the new FREE items available in this 2012 Sale-A-Bration catalog. On a side note, I recently finished a mini album for a girl at my church who just turned 16. Some of us took her out for dinner and I took the opportunity to shoot some pictures with my new Nikon lens I got for Christmas. I used a plethora of stamps and a paper collection I have had in my stash for 6 years (yes people, I am on a mission to use my stash this year). Here is a picture of one of the page using the Pennant Parade stamp set. I think this stamp set is one of the newer stamp sets that I really love and will keep for years and years. I will be posting a few photos of a recent swap showcasing the sale-a-bration catalog as well as the Occasions Mini catalog in the next few posts so check back soon for some creative inspiration. Did you miss me?! I am finally able to get back into the blog world and share a little bit of my creativity and life. It has been a few crazy weeks of creating up a storm in my studio for the Artisan Award, workshops and classes as well as having 9 fun days with my kids home from Spring Break. My poor house got a bit neglected and decided I needed to also take a few days to make my home look like a real home before starting things up again with blogging and video tapings. First and foremost, the new Stampin'Up Summer 2011 Mini Catalog is finally here!!!! You can click HERE to see all its beautiful pages with new stamps, papers and accessories. Come back tomorrow to see pics and another video on a brand new class that I will be teaching locally very soon!!! Stampin'Up has just come out with the brand new My Digital Studio catalog. 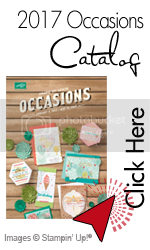 It features all of Stampin'Up digital goodies. You do not need to have My Digital Studio (MDS) software to use the digital elements. You can always use your Photoshop or Photoshop Elements. The New Spring/Summer 2009 Idea Book & Catalog is HERE!!! The whole moving thing is sooooo long...it seems like it takes me forever to get back into the swing of things maybe also because I'm just getting OLD!!! It is crazy getting used to the cold again and a snow storm is coming tonight...yikes!!! Passing on to something NEW....the wait is over!!! The new Stampin'Up Spring/Summer 2009 Idea Book & Catalog is finally here and this time it's even better than the last one. So many new accessories and surprises. You just have to look at it yourself to believe and truly discover the beauty in this new book. CLICK HERE to see all the new products online and from Feb. 1 through March 31st, you will be able to get your FREE copy of the entire book for any order of at least $50. Also, don't forget that you only have a few more days before the 20% off the "Love You Much" kit discount is officially over. Stampin' Up! 's new Holiday Mini Catalog is full of GREAT holiday stamp sets and project ideas. I know I always say it, but this is the best Mini Catalog yet. 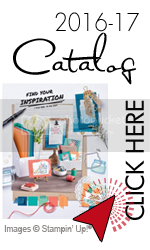 What makes this a great Mini Catalog is now you can create quick and simple tags with the new Sizzix Big Shot die-cut maching and Stampin' Up! 's exclusive dies! View the catalog online HERE or contact me to get yours today.